He may have scored his worst qualifying result of the season, but Fernando Alonso does not believe Belgian Grand Prix qualifying marks McLaren's lowest point of 2018. Fernando Alonso insists McLaren’s dire qualifying performance at the Belgian Grand Prix does not represent the team’s lowest point of the 2018 Formula 1 season. 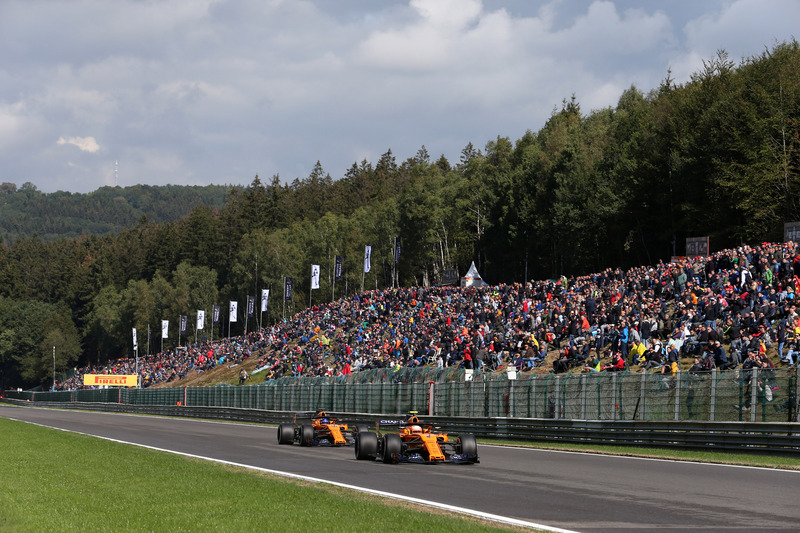 Alonso struggled to 17th and his worst qualifying result of the season at Spa-Francorchamps, while teammate Stoffel Vandoorne also failed to progress from Q1 and ended up slowest of all. When asked by Crash.net if the result represented a new low for McLaren in 2018, Alonso replied: “No. I think it was a little bit worse at Paul Ricard. “To be honest we were out in Q1 at a circuit we probably were a little bit more competitive from the free practice and then we went out of Q1 and it was a little bit of disappointment. “We didn’t have great expectations, we had seen how all three practice sessions had gone, so we knew qualifying was going to be tough for us, even to get by in the first session. Considering the well-documented downforce struggles with its MCL33, McLaren opted for a slipstreaming strategy between in its drivers in a bid to gain much-needed straight-line speed along the Kemmel Straight. Despite gaining a tow from Vandoorne, Alonso failed to improve on his second run, while the Belgian was not close enough to the Spaniard in order to receive the favour back on his own flying lap. “I think we lose in every sector,” Alonso explained. “The main problems are we have too much drag, we noticed that in the first and last sectors, we are definitely the slowest. It’s something we are aware of and working at.